Lamborghini could launch an SUV in 2017, CEO Stephan Winkelmann told a German newspaper. The Italian supercar brand will unveil a concept for the vehicle at the Beijing auto show on April 23 to test public reaction, according to a report in the German business daily Handelsblatt on Thursday. Winkelmann wants the SUV as a third model line along with the Gallardo and Aventador super cars to help make the brand profitable, Handelsblatt said. China is a key market for high-margin luxury SUVs. "We definitely need a third line in the mid- and long term," Winkelmann told the paper. "An SUV would be the first Lamborghini for everyday use, not just for the race track or weekends. We would have the opportunity to win new customers." Lamborghini has been loss-making since 2009 and is under pressure from parent Volkswagen Group to become profitable, Handelsblatt said. Winkelmann told the paper that he hopes that parent VW will decide this year whether to allow the brand to build an SUV. "It usually takes 48 months until an all-new vehicle arrives at dealers, so the new Lamborghini would not be available to buy before 2017." The paper quoted company sources as saying the decision is certain to be positive. If the car is approved for production, Lamborghini would join VW stablemate Bentley in diversifying into the growing super-luxury SUV market. Both brands will be able to call on a new version of the VW Group platform that currently underpins the Audi Q7, VW Touareg and Porsche Cayenne. Bentley is planning to launch within three years an SUV based on the EXP 9 F SUV concept first shown at the Geneva auto show in March. Next year, Fiat's Maserati brand will launch sales of a production version of the Kubang concept unveiled at the 2011 Frankfurt auto show. Lamborghini is expected to use its own engines for its SUV, most likely a revamped version of the Gallardo's V10 gasoline unit. 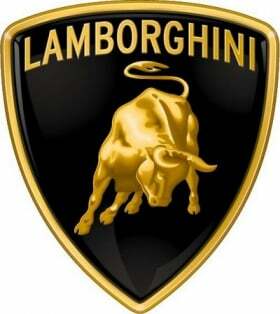 Last year, Lamborghini sold 1,602 cars globally, an increase of 23 percent on the previous year. China is the brand's second-biggest market after the United States. The UK is next, followed by Germany and Italy.